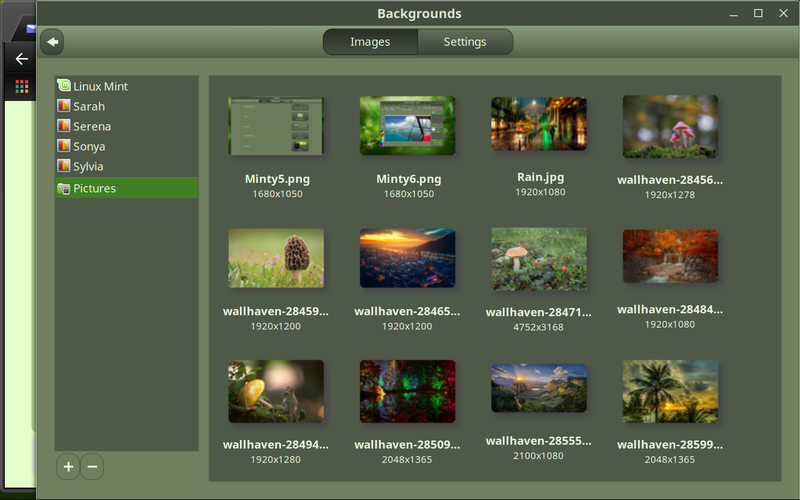 How, if I can, make Linux Mint 18.3 Sylvia MATE BETA have the background images rotate through a folder of Pictures on my Hard Drive? I'm having the same problem. 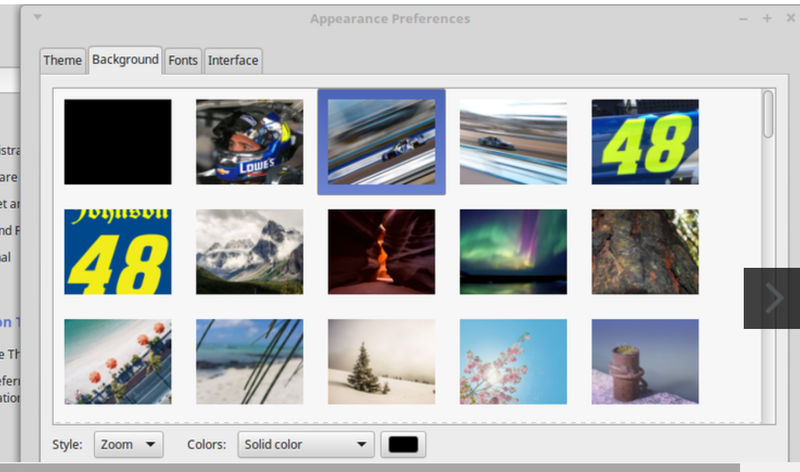 When I go to set the desktop background, it shows the jpegs, but doesn't allow me to select any of them. 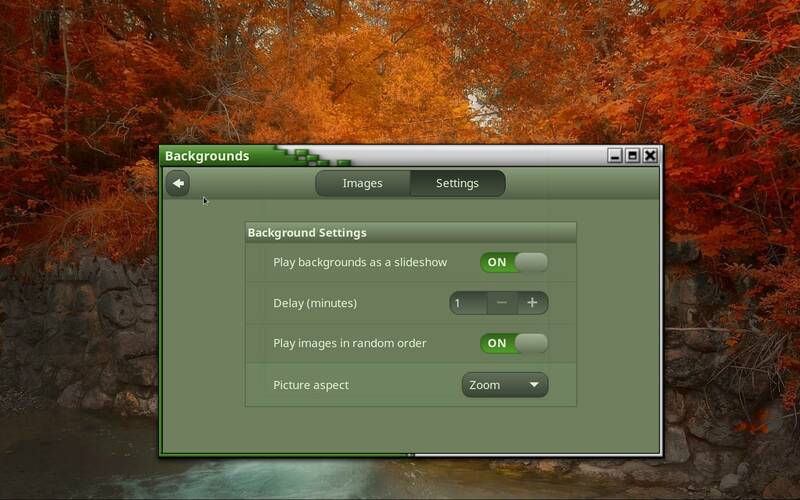 Palladini921 wrote: How, if I can, make Linux Mint 18.3 Sylvia MATE BETA have the background images rotate through a folder of Pictures on my Hard Drive? I have LM18.3 Cinnamon which has the following screens to set that. Go to settings. Unfortunately I only know this method where any photo in the Pictures folder will be in the slide show. In Windows any folder could be selected for that but in Mint I do not know how. Make sure you don't have the "Style" set to "None" (= you get a solid color). Set it to "Scale" or something else besides "None". You just solved my earlier problem with selecting a source for the slide show other than pictures. I just add a new folder in backgrounds and use that for the source. Thank you. 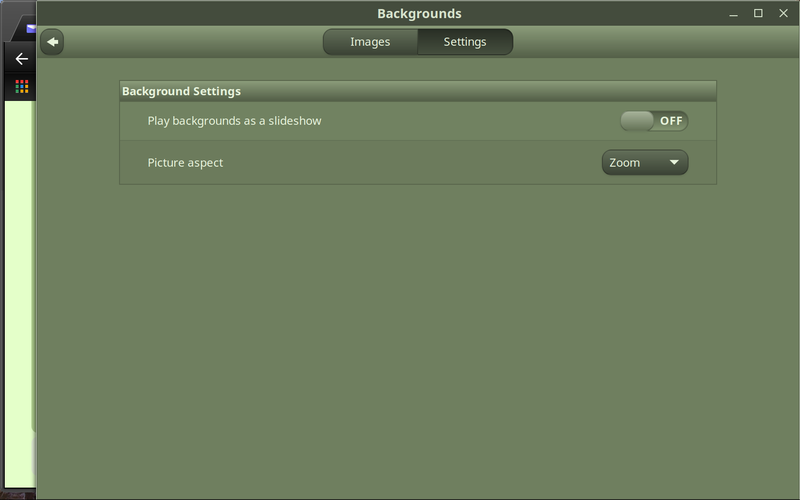 Have you selected "play backgrounds as a slideshow"? Here is a before and after of what that should look like. Probably quite similar to Mate. Last edited by Palladini921 on Sun Dec 17, 2017 4:44 pm, edited 1 time in total. If you want better results when posting pictures there is an easy way to do that without physically resizing the image. Click on the following link to Imgr and then click the big button at the top left, New Post. Then select a photo from your computer and click Open. Once the photo finishes loading, right click it and select copy image address which is what you put between the . Easy, peasy. There are many photo hosting sites but this one is so fast I can not see looking for anything better. The hardest part is putting your cursor between the brackets. There can be no spaces. Remember, you can actually type in the instead of using the ones supplied. I see now you used Photobucket which is a great photo host but your photo is too blurry to be viewable. I still recommend you try Imgr as I suggested as it is super easy. It has been designed to handle this task with ease. O, and there is no signup. Also, I do not think there is a limit to posts as in the free version of Photobucket. Sorry I see no arrow on the left side. Yes I see it but it is so much different from 18.3 Cinnamon that I can not help.